3.0 Does the Contingency Plan Actually Reduce Project Risk? This may seem like an odd thing to ask. After all surely every contingency plan reduces risk? Well no. You would be surprised how many project manager's, in their desire to actually have a contingency plan, end up devising ever more "creative" solutions which end up being actually riskier than the original risk it was mean't to mitigate against. Remember there is absolutely no point in having a contingency for a risk, if quite frankly it would be complete madness to implement it. So for example, if you were dependent on a car to take you to a critical meeting, the date and time of which couldn't be changed, a contingency could be to use another mode of transport, say public transport. Well depending on where you are living, this may not be a less risky solution because public transport might be completely unreliable. Therefore a less risky contingency would be to travel the night before and stay over in a hotel. It might be a more expensive option, but depending on how big an impact the risk might have on the project, it could be worth paying more in order to minimise the risk. 4.0 What can be De-scoped if Required? If all else fails then the fall back option is always "what functionality can we de-scope to be able to meet the launch date?". Now this is never a popular one with Project Sponsors who will always insist that all the functionality is vital and must be delivered. 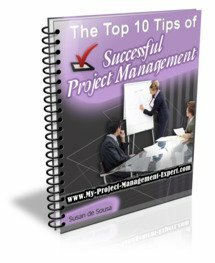 Therefore this needs to be handled extremely carefully in order to get the result you need to keep the project moving forward. Basically when you consider your contingency plan you always need to be aware of exactly what functionality could be de-scoped at that stage if required. The last thing you want, is to be in a position where a contingency plan has failed and the only option is to de-scope functionality but you have absolutely no idea what this could be. It makes you look unprofessional and worse still it makes it less likely that the Project Sponsors will agree to what you want. De-scoping functionality should always be a last option, should all else fail. This might seem incredibly drastic action but never forget that a Project Sponsor when faced with compromising on what functionality the project delivers and having nothing at all, will invariably suddenly decide that they can dramatically reduce their long list of "must haves"!